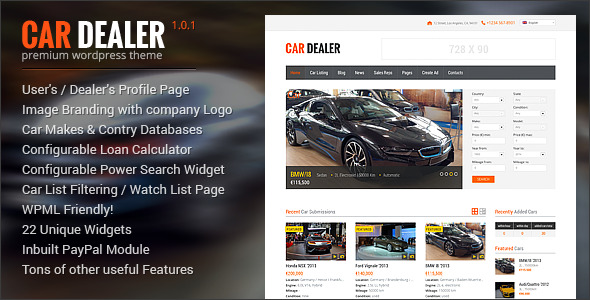 This idea brings to your attention a new child of ThemeMakers activity and productivity – CarDealer WordPress theme. 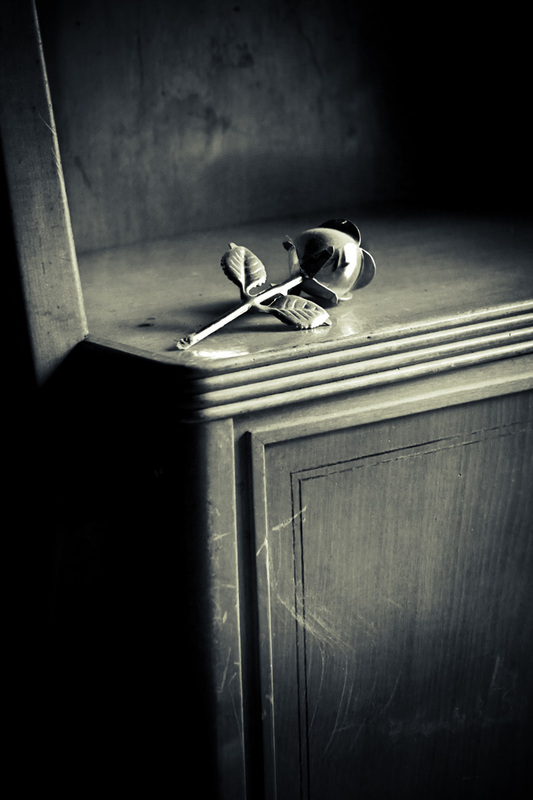 You are searching an idea for earning money or for business? CarDealer helps you to get into right direction. 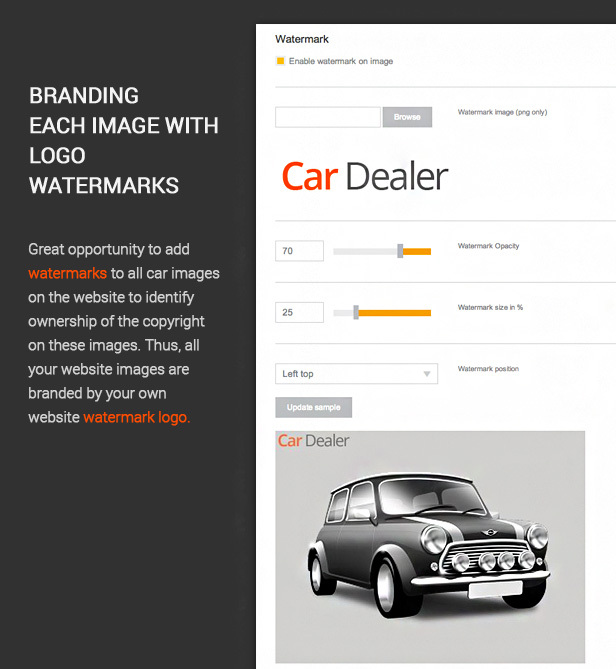 This great theme can be used on any level of business starting from huge car dealer companies and for guys who want to sell their own cars. 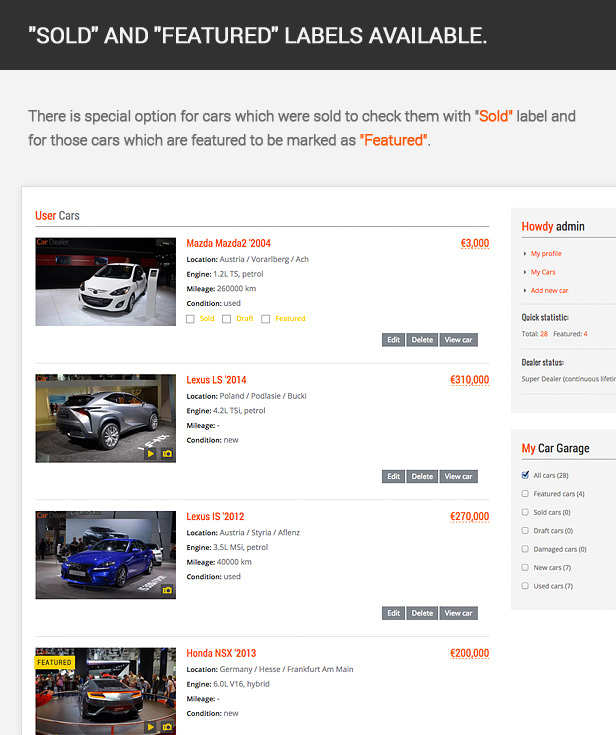 Every user who enters the website can create his/her own account with his/her personal information, contact details and post there lots of different cars to sell. Everyone can feel how to be a CarDealer! 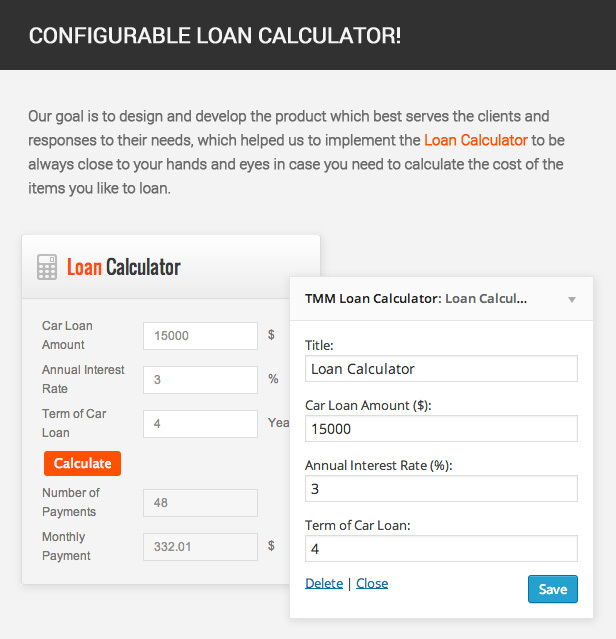 Even identical cars have different additional options that were selected upon the purchasing this vehicle therefore the car price may vary. 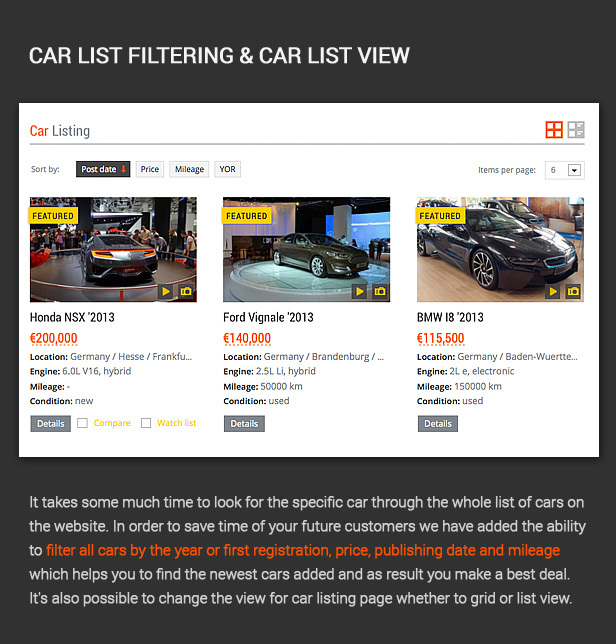 And to get these cars filtered properly we have implemented the Car options editor which allows you to manage cars additional options and as the result it will help your customers to find the car they’re looking with the specific options. 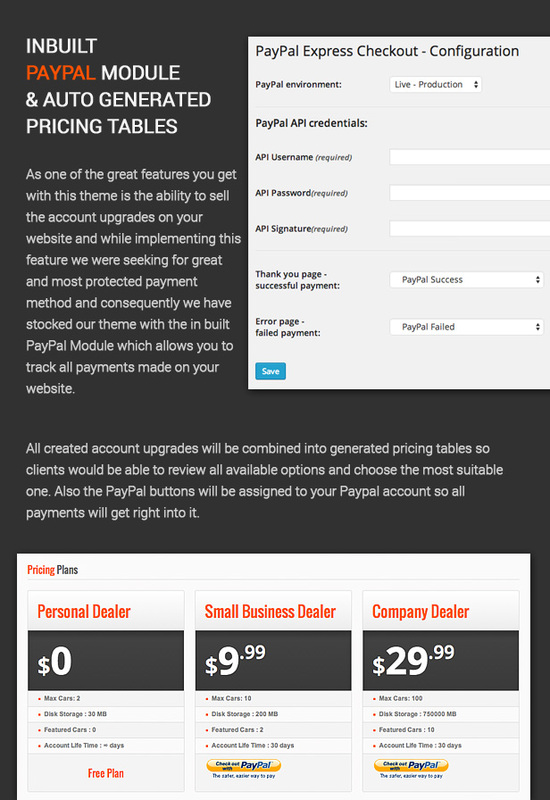 The theme has an ability to allow random visitors to create an accounts on your website and as manager are on charge of their accounts and you can manage the amount cars they post, the server space for images, etc, moreover you can create different account plans to allow these visitors to upgrade their accounts for posting more cars by purchasing the account upgrade on your website and in addition you can sell them featured car bundles for setting vehicles as featured which will push their cars to the the top in the search results. Thinking about getting unique website and getting it matched your business logo and corporate colors? 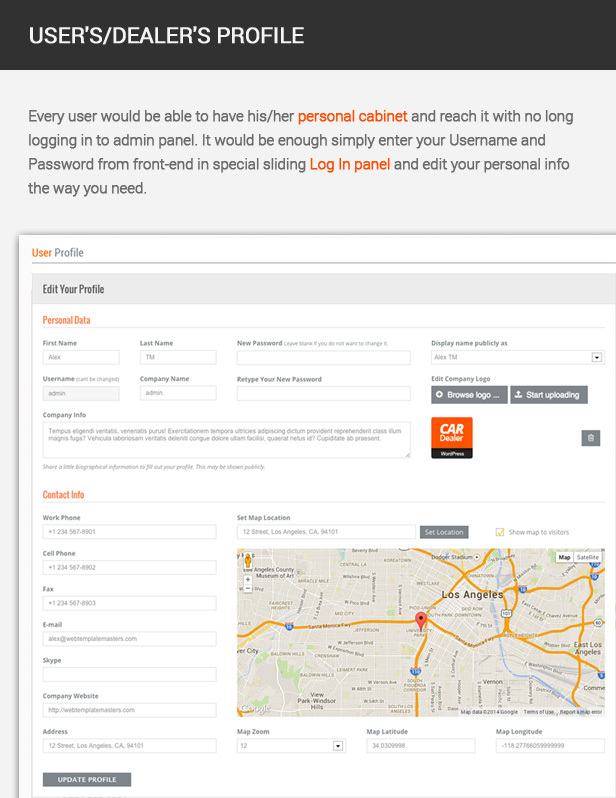 Our theme has a great feature for it ­ Theme Styling Options Panel. You can easily customize your website color scheme in few clicks with the help of Theme Styling Options editor. All theme elements could be changed to match your requirements. Two possible News page Views. 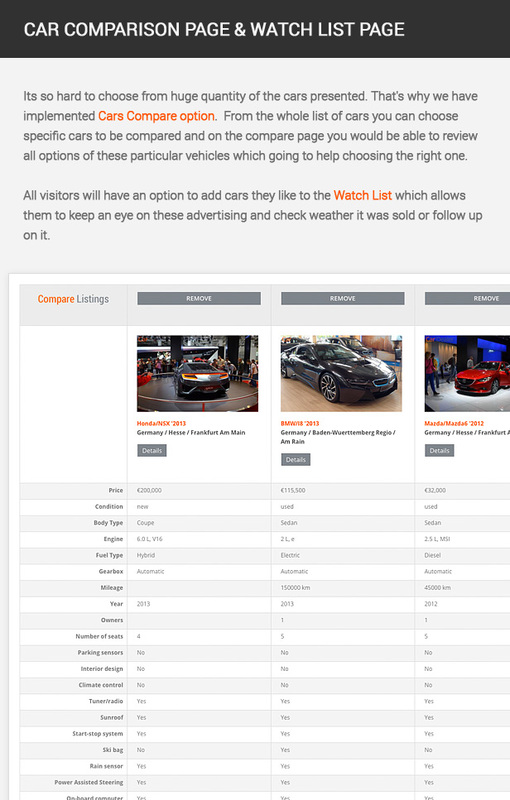 You could involve more customers to your website by posting latest news of the car industry. We understand the importance of blogging and that’s why we have added 2 different News listing pages so you can choose the one that suits your needs. 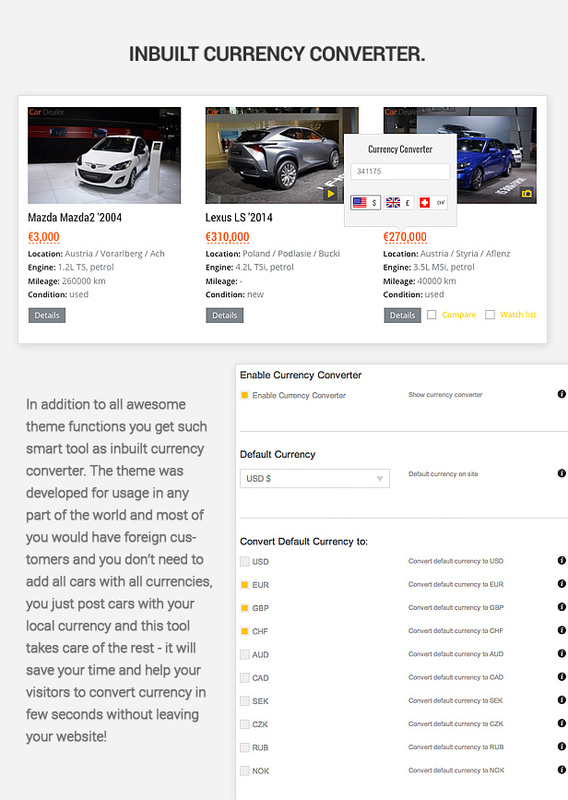 We created 22 widgets for the CarDealer’s for first release! 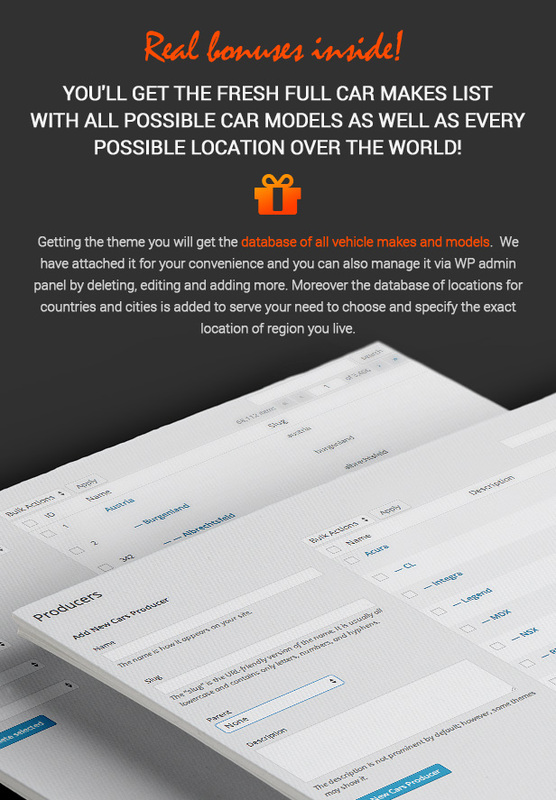 CarDealer WP theme includes 22 widgets for many different needs: Banner widget to show up ads, Contact form to place message box to be in touch, Featured Cars to display featured cars, Google Map to show the location of the dealer and many others. Please note that our theme is SEO ready and originally includes all SEO service in it. So you do not need to install any additional plugins and waste time to make them compatible with the theme. All cars are different and some of them have specific features or elements which are very unique or individual. To specify these features we developed great tool to construct the additional categories and fields to highlight such things. Attention! No longer need to export/import .xml files, no more trivial round to install demo content, no more mess and fails. 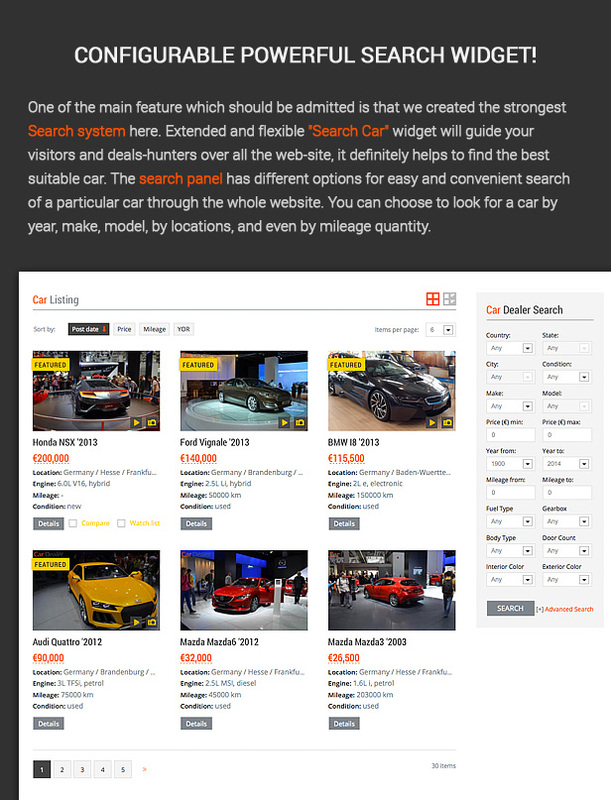 The fat feature of CarDealer WP theme is Demo content installation in few clicks. If you like this theme a lot, if it totally fits your corporate design, then you definitely would need to structure your own website layout and content exactly as demo version shows. 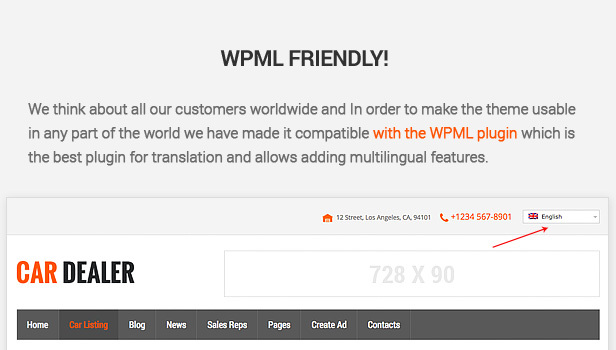 Few clicks – full website content: pages, posts, shortcode elements, slider.